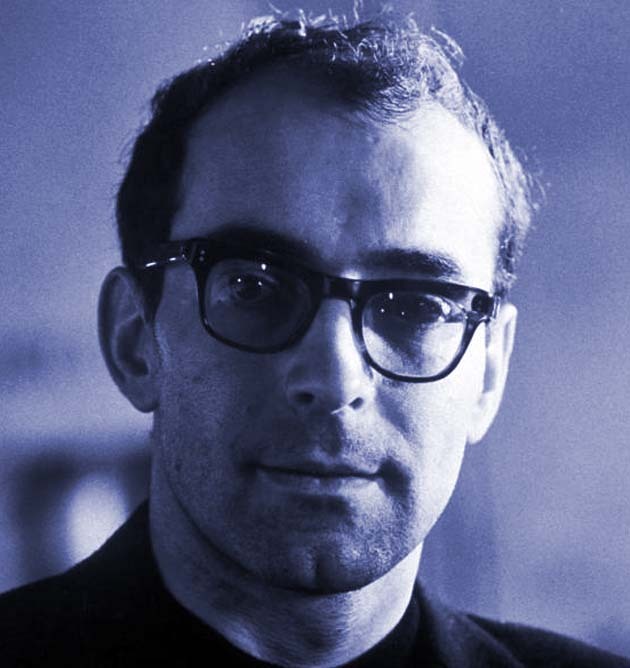 Jean-Luc Godard in his youthful days: Greek debt crisis solution? The Greeks gave us logic. We owe them for that. It was Aristotle who came up with the big 'therefore'. As in, 'You don't love me any more, therefore …' Or, 'I found you in bed with another man, therefore …' We use this word millions of times, to make our most important decisions. It's about time we started paying for it. If every time we use the word therefore, we have to pay 10 euros to Greece, the crisis will be over in one day, and the Greeks will not have to sell the Parthenon to the Germans. We have the technology to track down all those therefores on Google. We can even bill people by iPhone. Every time Angela Merkel tells the Greeks we lent you all this money, therefore you must pay us back with interest, she must therefore first pay them their royalties. Godard's solution sounds as reasonable as any proposed so far. Perhaps more so. Check out this The Guardian article indicating where – i.e., into whose pockets – Greece's bailout money has gone. Meanwhile, let's all party like its early Oct. 1929, a couple of months or so after the release of jazz baby Joan Crawford's Our Modern Maidens, and a couple of weeks before you-know-what. Breathless / À bout de souffle (1960). Cast: Jean-Paul Belmondo. Jean Seberg. Contempt / Le mépris (1963). Cast: Brigitte Bardot. Jack Palance. Michel Piccoli. Fritz Lang. Giorgia Moll. Cast: Eddie Constantine. Anna Karina. Akim Tamiroff. Cameo: Jean-Pierre Léaud. Cast: Jean-Pierre Léaud. Marlène Jobert. Chantal Goya. Cameos: Brigitte Bardot. Françoise Hardy. Cast: Mireille Darc. Jean Yanne. Dir. : Jean-Luc Godard. Jean-Pierre Gorin. Cast: Jane Fonda. Yves Montand. Hail Mary / Je vous salue, Marie (1985). Cast: Myriem Roussel. Thierry Rode. Philippe Lacoste. Juliette Binoche. Johan Leysen. Anne Gautier. Goodbye to Language / Adieu au langage (2014). Jean-Luc Godard will be turning 85 next Dec. 30. Jean-Luc Godard film credits via the IMDb.